Founded in 2007, our paper shredding and hard drive destruction company offers affordable, on-site and secure information destruction services. We service every type of need - public or private institutions, commercial or residential clients, professional firms, government agencies, hospitals, hi-tech and retail businesses which require document shredding and hard drive destruction services. 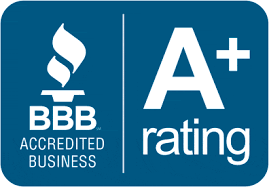 From our headquarters in Berthoud, we provide shredding, destruction and e-recycling services to clients in Boulder, Fort Collins, Loveland, Longmont, Louisville, Lafayette, Broomfield, Greeley, Frederick, Firestone, Johnstown, Sterling, Brush and Fort Morgan in the Northern Colorado area. Eric Pederson is head of our operations. He is born and raised in Colorado. He graduated from CSU with a degree in Agronomy. He has worked in production for Con Agra and Celestial Seasonings. 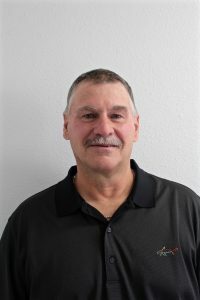 He started Pederson’s Recycling & Disposal Inc. as a small hauling company in 1996. He started Apex Shredding Inc. in 2007. 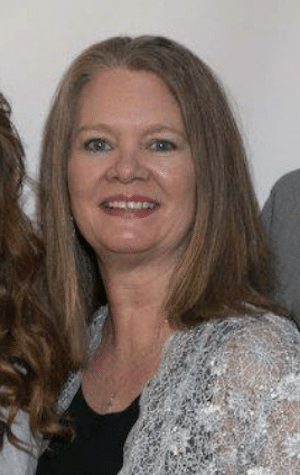 Ann Pederson was born and raised in Bannockburn, Illinois. She attended Roanoke College in Salem, VA graduating with a degree in French. She has taught elementary school through high school. She graduated from the FRCC Sign Language Interpreter Training Program and worked as an interpreter before joining Eric in their business ventures. She runs the office and helps in the field as needed. Kevin was born and raised in Berthoud, CO. He enlisted in the Navy in 1976 and was honorably discharged in 1980. He farmed in Southeast Loveland for 30 years. He is married to Vicki and they have a son and daughter. 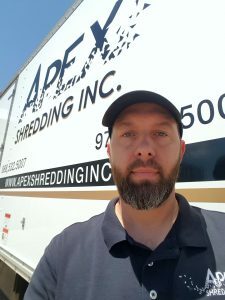 Kevin has been with Apex Shredding since March 2017. Chad spent most of his life in Lancaster, Pennsylvania before moving to Loveland, Colorado in 2012. 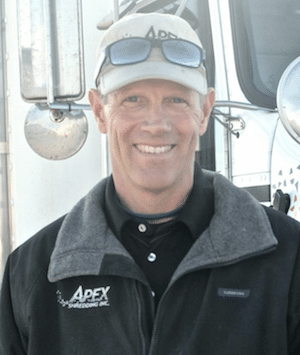 He has over 20 years experience in route driving and delivery. Almost 15 of those years were spent in the lumber business in PA and CO. Chad has been a shred truck operator for Apex since November 2017.